U.S. Army Staff Sgt. 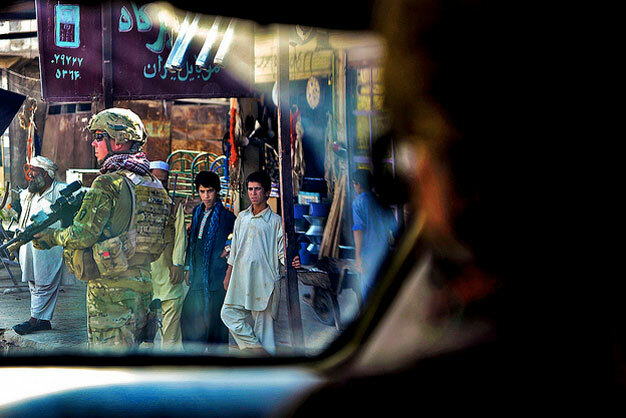 James Bates, a security force squad leader for Provincial Reconstruction Team Farah, pulls security as locals look on during a mission to the director of information and culture’s office in Farah City, Farah province, Afghanistan, Sept. 25. US Army photo.